It is a very reliable SUV!! It has great mileage. . . This is very important! 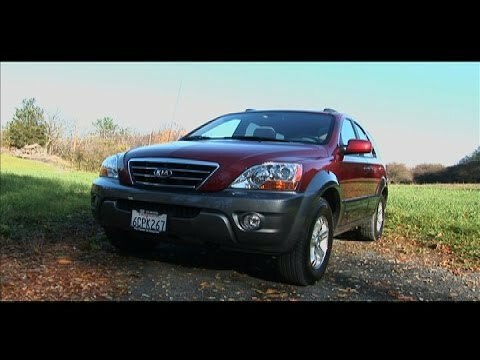 This Kia Sorento is the 3rd Kia we have owned. With each of our Kia's we have never had any mechanical issues other than the regular maintenance that is required. Whenever anyone asks me what make of vehicle they should invest in, my answer is always Kia! Not only are the motors sound, but they get great mileage, they are super comfortable and (in my opinion) very handsome vehicles. When it is time to purchase the next vehicle, you can bet on it that I will definitely buy another Kia!! My current Kia was previously owned which really affirms how awesome Kia's are!! Vehicle is 14 years old with only 1 universal joint replacement, and 1 headlamp wiring block - otherwise standard preventative maintenance. Was purchased used for son and I now drive it as my primary vehicle - "decent" mileage of 15 mpg, handles well, and sits high enough - I cannot say enough about how reliable it has been. Kia's are awesome cars. Reliable affordable and safe. It is really is a reliable vehicle. Good on gas. Kia's are really good cars I have cruz control anti lock brakes power windows power locks it is really roomy drive great I also recommend to my family, friends and colleagues it is a awesome car and I am thinking about purchasing a new Kia in the near future.